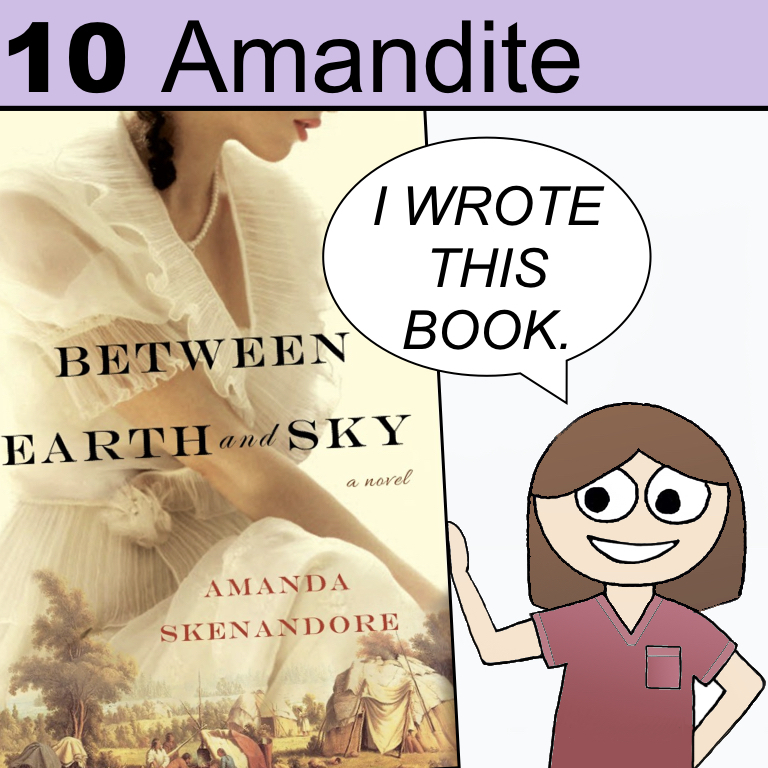 Amandite is named in honor of Amanda Skenadore, a nurse and author. Her first book, Between Earth and Sky, will be published in May 2018. “I’d love to sit down to lunch with Maria Mitchell. She was born in Massachusetts in 1818 and became the first woman elected to the American Academy of Arts and Sciences. She was also the first female astronomy professor. Her love of the stars came from her father, who first taught her how to use a telescope. Together, they observed and recorded the 1831 solar eclipse. Maria founded a school for girls when she was just 17, teaching her pupils both math and science in a time when such learning was largely restricted to boys. Her most noted achievement occurred in 1847 when she discovered a new comet with her telescope. You can find out more about Amanda and her upcoming book at her websiteor by following her on twitter or facebook.